What is the Oracle telling you? Archival inks and medium. Giclee-standard with 100+ year rating. Each print is hand-signed by the artist; Limited editions are numbered. Matte reproductions are printed on high quality art paper. Standard frame sizes. Canvas reproductions are satin-varnished; includes extra border for stretching. All orders SHIP ROLLED except Ready-To-Hang option. 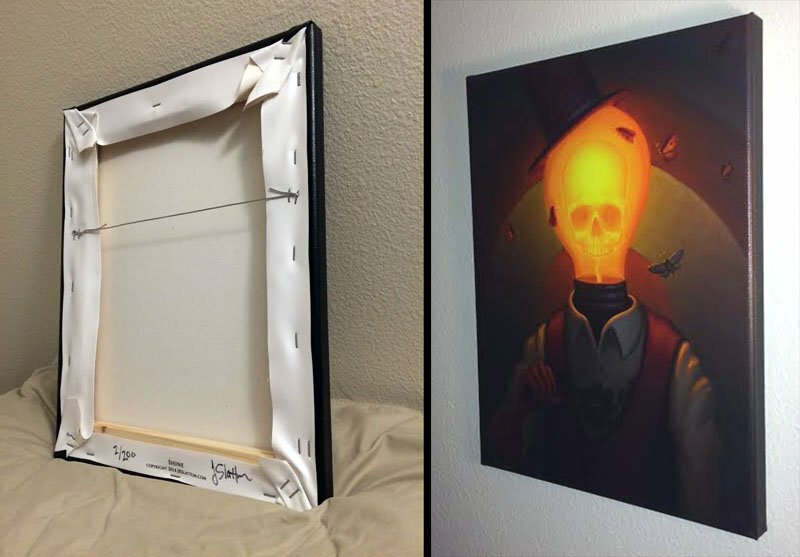 Ready-To-Hang canvas is stretched over wooden inner frame, pre-wired and ready to display. EXAMPLE. USA- $10 shipping on entire order. International- $20.